Volunteer Spotlight featuring Sue Scott! Sue Scott has been a dedicated volunteer at Caring for Creatures since 2005. She is a faithful and tireless dog walker, volunteers at adoption events and craft fairs, and is well known for the Holiday Gift Bags she creates and sells every holiday season on behalf of Caring for Creatures. 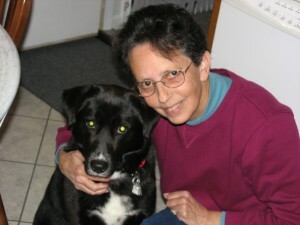 For Sue, walking dogs entails much more than just a walk. She also provides socialization, plays with the animals, and bathes them. The pooches all know they can count on Sue for regular walks and lots of love! 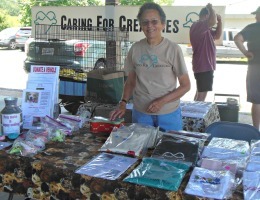 Sue’s work at adoption events and craft fairs has many goals, including spreading the word about the Sanctuary, seeking donations, sharing her knowledge about the dogs up for adoption, and selling hand crafted items made by other volunteers. Sue heads up the popular Holiday Gift Bag fundraiser. 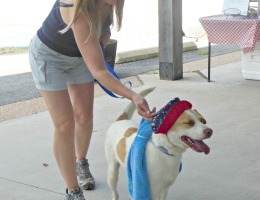 The $5-donation dog bags include a bandana and either a rope toy or a tennis ball, along with snacks. The cat gift bag includes homemade catnip pouches with fresh catnip, toys and snacks. 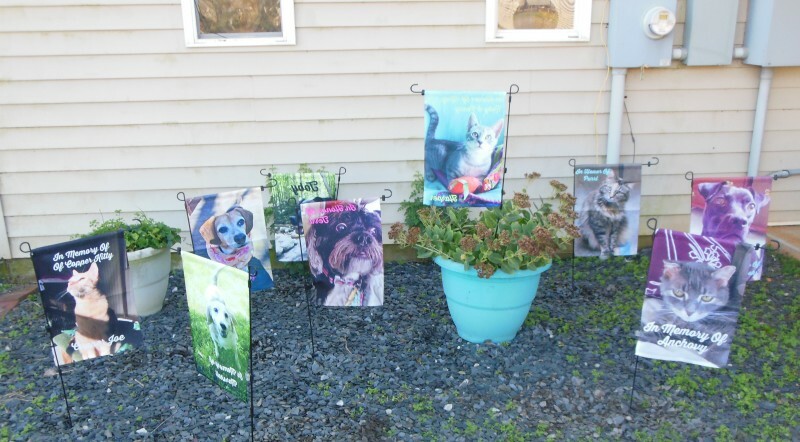 The bags are available at pet shops, veterinarian offices, and many local businesses in Fluvanna and Charlottesville. 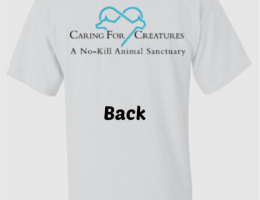 This is a great fundraiser for Caring for Creatures. With the help of other hardworking volunteers, Sue raises a minimum of $5,000 through this campaign every year! 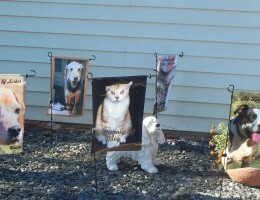 It was back in 2005, that Sue saw a notice seeking volunteers for an animal sanctuary. As described, it combined her lifelong interest in volunteer work with her love of animals so she decided to give it a try. She has loved every minute and has convinced many of her friends to join her at the Sanctuary. What Sue loves most is seeing a frightened, abandoned animal learn to trust and enjoy a safe and happy life while residing at the Sanctuary. Sue Scott was born in the Bronx, lived in New York for her first 29 years, in Connecticut after that, and has been in Virginia for 13 years and counting. She lives with her husband, Bob, who is also a CFC volunteer. They have been married for 47 years and share their Lake Monticello home with Macey, the third dog she has adopted from Caring for Creatures. In addition to her volunteer work, Sue and Bob enjoy traveling and visiting National and State Parks with their grandsons! 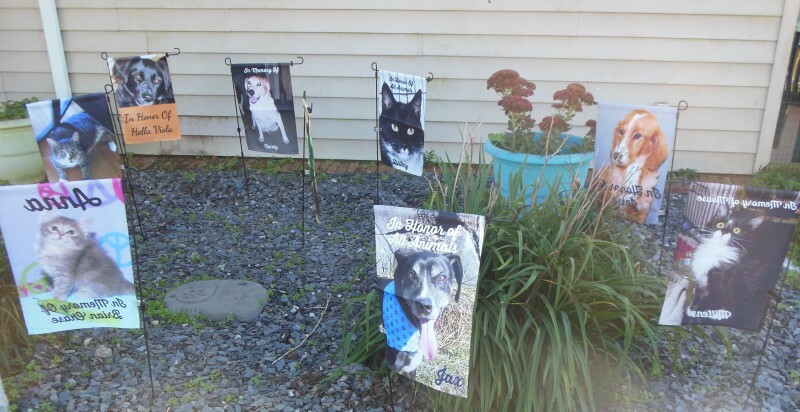 Asked who her current favorite CFC dog and/or cat is, Sue talks about Kia, a 15 year old dog who has been at the Sanctuary since a very large emergency rescue undertaken by Caring for Creature in 2005. 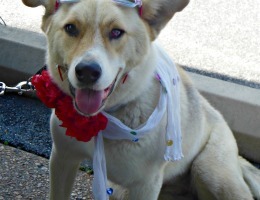 She describes Kia as “a bit shy, but full of love, tail wags and belly rub cravings. 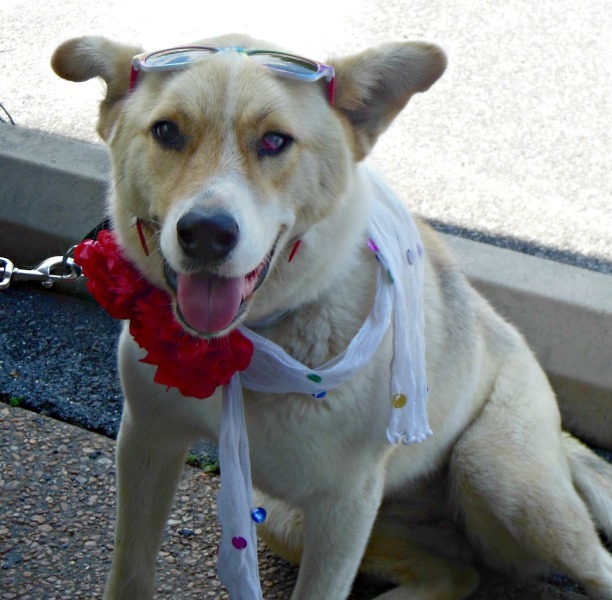 She is polite and a good leash walker who has waited all these years for a home of her own and that special person to love.” Come meet Sue at Caring for Creatures, and you can meet Kia, too. They’ll be glad to see you! 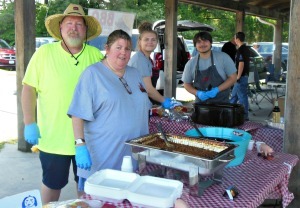 Volunteer Spotlight Shines on the McGruders! Craig and Cheryl McGruder love the 150 cats and kittens who reside at Caring for Creatures. They have been enthusiastic volunteers for 10 years. In the beginning, they volunteered the first Monday of each month, cleaning one of the rooms at the Scratching Post. They helped the staff as they got to know and love the cats. Eventually once a month was not enough and they started coming every Monday. It is almost impossible to name the number and variety of tasks and projects that Craig and Cheryl have undertaken for CFC. They do laundry (and put up a clothes line to help with this task) and dishes (no small task with 150 felines). They have replaced the countertop surfaces in each cat room. They built cat steps and benches and patio tables. 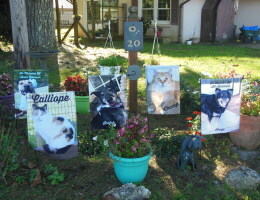 They had a Memory Garden constructed in honor of their parents, which provides a wonderful place for everyone to enjoy the peaceful Sanctuary that is Caring for Creatures. Craig McGruder was born in Richmond and grew up in Henrico County. Cheryl moved to Henrico County when she was very young. They met in high school and married in 1969. 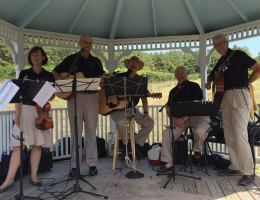 They have lived in Goochland County since 1977. 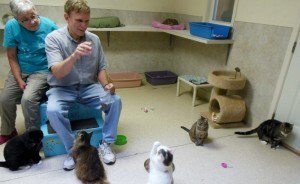 They got to know Caring for Creatures initially when they were volunteering with a small cat rescue group in Richmond. They had a FIV+ kitty named Mr. T and CFC agreed to accept him. They were so impressed with the Sanctuary and its mission that they promised themselves that they would volunteer at CFC when they retired (a promised they kept!). When asked about their favorite part of volunteering at Caring for Creatures, Cheryl responds, “The feeling I have at the end of the day that we have helped in some small way. Mary is such an amazing woman that you just want to help in any way you can.” Craig adds, “Interacting with all the different kitty personalities. We mourn when one passes and we celebrate when they go to their forever loving homes.” They both love watching a shy, scared and sometimes terrified cat realize that everything is going to be OK. Seeing that stark fear leave their eyes to be replaced by trust and love is so rewarding. They also have met some very special humans at CFC. 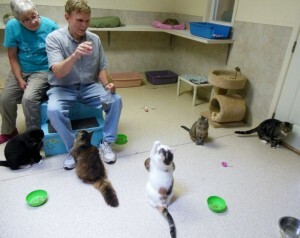 When they are not at the Sanctuary, Craig and Cheryl live with 9 very spoiled kitties ranging in age from 4 to 15. They also foster a very petite 4 year old FIV+ kitty from CFC named Porsche as she recovers from dental surgery. 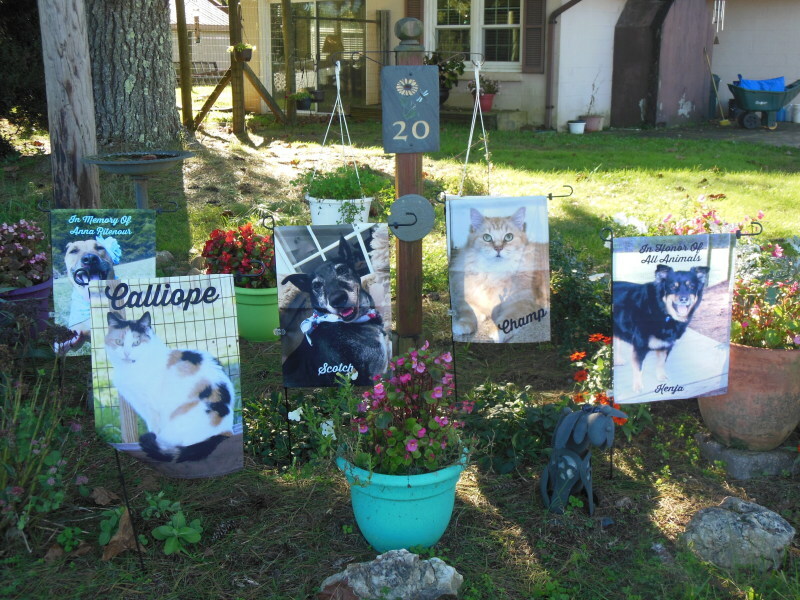 Five of their cats were adopted from CFC and four were rescues from Richmond. Sitting in their sun room reading the Sunday paper surrounded by these wonderful creatures is one of their favorite activities. 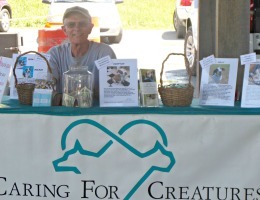 Donna Horan has been a really “sweet” volunteer for Caring for Creatures since 2005. 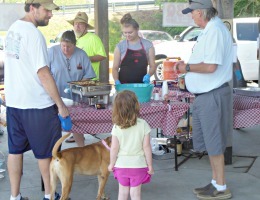 She began making and selling baked goods soon thereafter, donating the proceeds to CFC. Her baking has satisfied many a sweet tooth and bread lover! 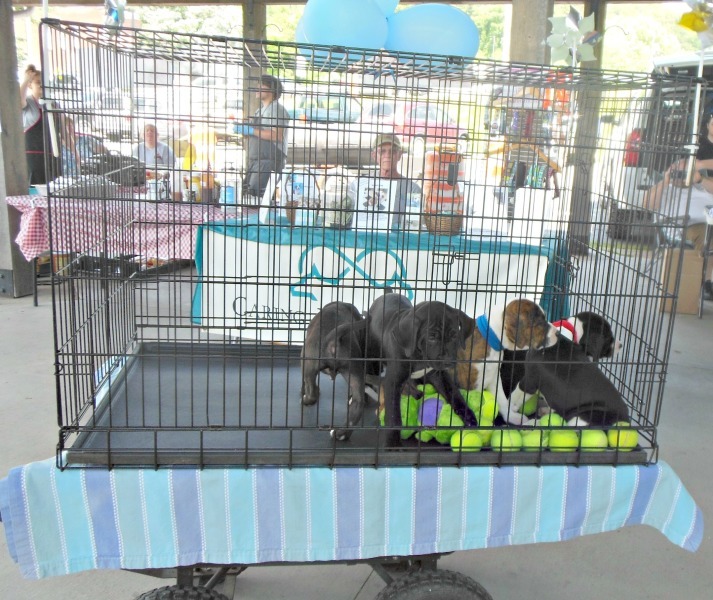 When Donna isn’t baking, she is busy walking CFC dogs, washing them, helping with fund raisers, and transporting dogs to and from CFC’s very helpful Veterinarians. 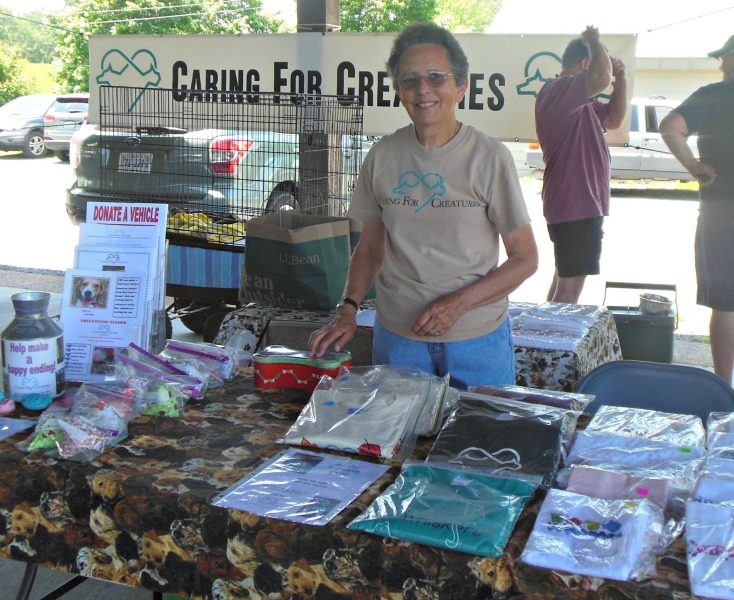 Donna also sells dog bandanas, cat toys, and she has just added cat nip bags, all of which provide much needed revenue for the Sanctuary. With all of her caring for Creatures activities, it’s hard to believe that Donna has time for anything else, but she loves cooking and baking, working around her great house, traveling and cruising, and having family and friends come to visit. Donna and her late husband Bernie lived in Hicksville Long Island, New York before moving to Lake Monticello. They built their house in 2003 and moved in in 2005. Soon after, persuasive Sue Scott (see other Volunteer Spotlights) came knocking and asked Donna if she liked animals and would be interested in helping at an animal sanctuary walking dogs once a week. Donna said yes and the rest is history. 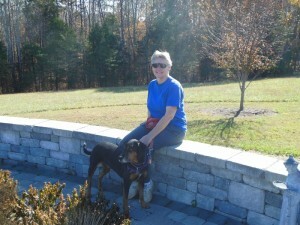 When asked who her favorite dog is, Donna chose Lulu, a five year old black and tan beauty. “She really is beautiful, she’s house trained and just a sweet girl who needs a loving family,” Donna said. Donna’s husband died in 2012. She is sustained by the love of her friends at Lake Monticello, her family, and the unconditional love of her four legged friends at Caring for Creatures. 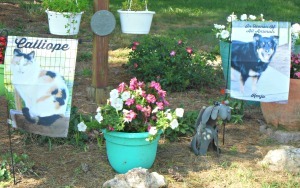 CFC is a peaceful spot to walk dogs, and the rural setting and the quiet helps to reduce stress. In her words, “you get to escape for several hours from the craziness of the world.” She especially appreciates the “thank you” and the “I am glad to see you” doggie kisses, and the barking and tail wagging when she arrives at the Sanctuary. It makes her day! Come find out for yourself why Caring for Creatures is such a special place. 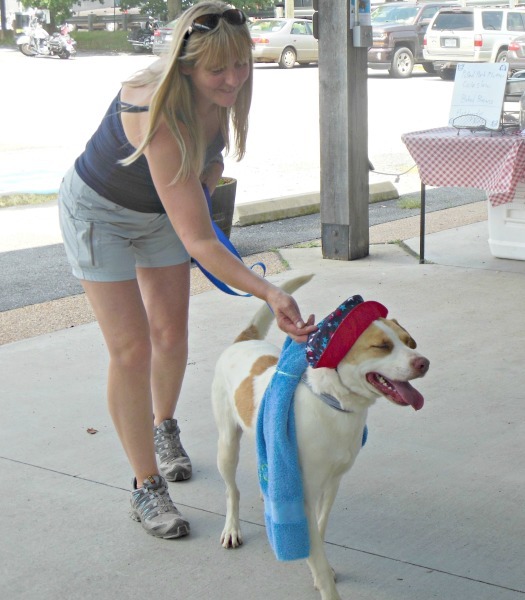 You can meet Lulu and the other dogs and cats at CFC. You might even see Donna walking or washing dogs. 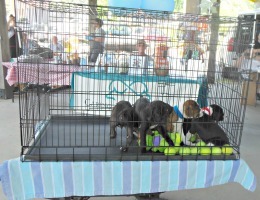 You can also check out the dogs and cats at www.caringforcreatures.org. 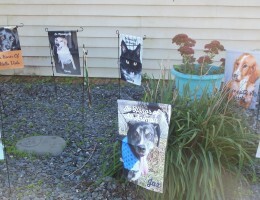 Sponsor a Faces of Love Flag! 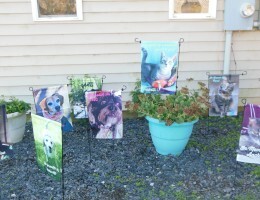 Help our sanctuary animals by sponsoring a Faces of Love Flag! Your gift will go directly towards much-needed food and medical care for our 200 residents. Even though our Matching Gift Challenge has ended, we are continuing to offer flag sponsorships. 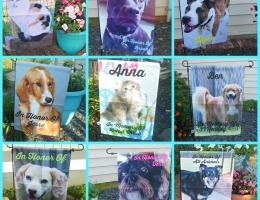 They make a great gift for loved ones and gift cards will be sent to those you choose to honor. 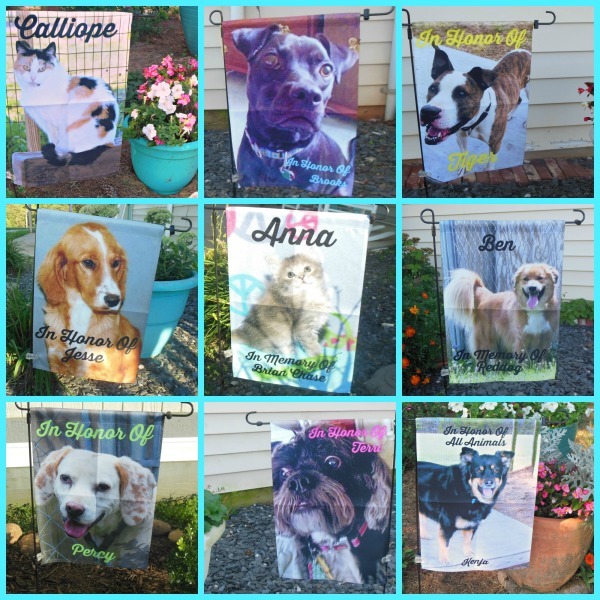 Our Faces of Love flags are also a wonderful way to honor a CFC animal (current or past resident or someone you have adopted from CFC). Your tax-deductible gift of $125 goes directly towards the care of our 200 cats and dogs currently in residence. Order on line by clicking here, or download a copy of our reply card here and mail it along with your check or credit card information to CFC, 352 Sanctuary Road, Palmyra, VA 22963.
Who are the faces of love? They are animals who have graced the sanctuary over the past 30 years. 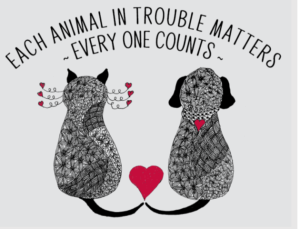 A great majority of them endured neglect or mistreatment from a human or were abandoned by them; some were left homeless when their human died; others are dealing with a chronic or disabling health condition which requires daily medication, a special diet or other form of support. After years of helping these animals and being helped by them, we wish to honor these Faces of Love in a way for all to see, enjoy, and respect. Please consider donating to this worthy cause. Your beautiful act of kindness will help so many animals with nowhere else to go. 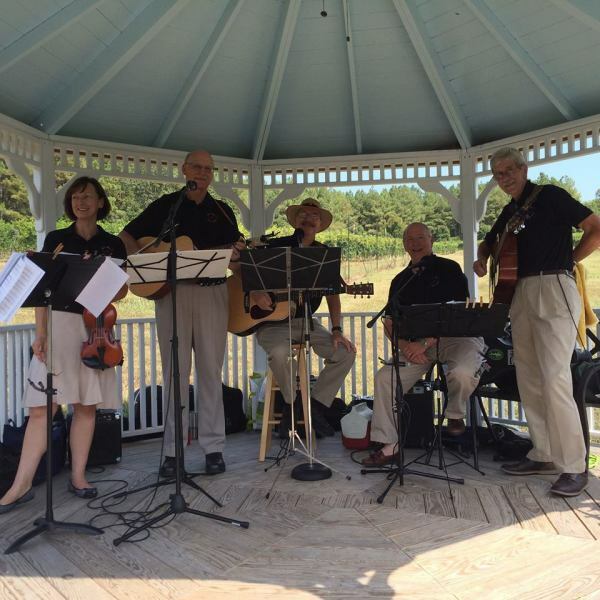 Cure The Critters Fundraiser – A Huge Success! 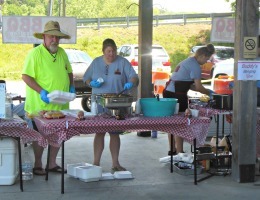 Our first annual Cure the Critters fundraiser was a huge success! 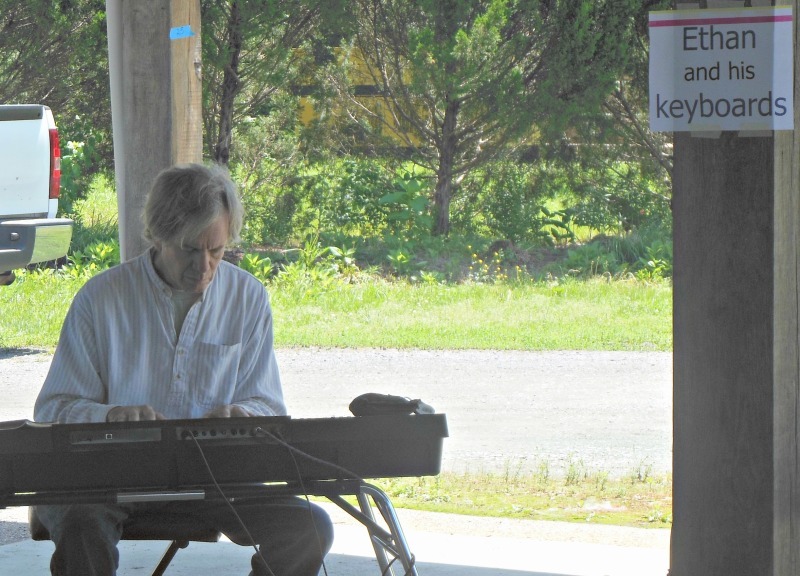 A huge thank you goes out to our sponsor, Buddy’s Banging Que, Event Coordinator, Alexander Stone of James River Good Works Group, Musicians Ethan Hamburg and Four Hits and a Miss, our volunteers and to everyone who participated in this event to make it a huge success! 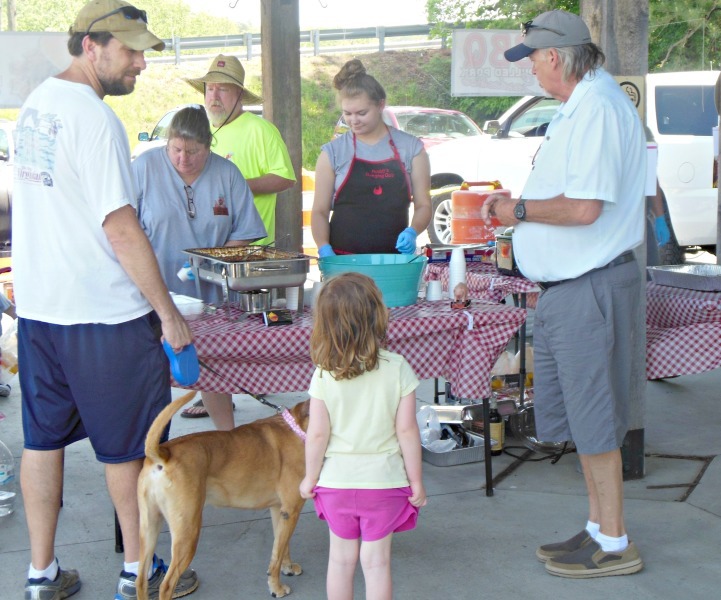 The Scottsville area community showed strong support for homeless animals at the May 20 barbecue benefit held to raise funds for Palmyra’s Caring for Creatures animal sanctuary and its Medical Needs Fund. 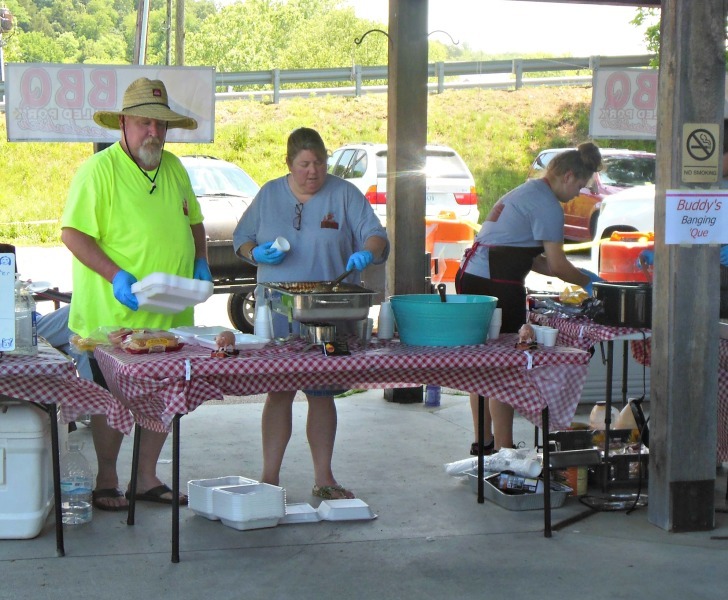 Cure the Critters event sponsor Buddy’s Banging Que served up a “sell-out” 270 barbecue sandwich plates, for which appreciative diners dropped $2471 into the Caring for Creatures donation jar at the end of the food line. And there was more to it than the great food. 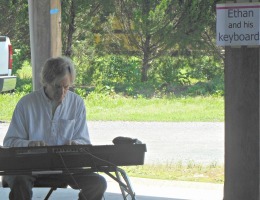 A fun time was had by the event attendees, as they enjoyed live music by local artists Four Hits and a Miss and Ethan and His Keyboards; held, hugged and petted adorable puppies that motivated five spontaneous adoption applications; judged a pet fashion contest; and viewed displays exhibited by several local service organizations. Our new t-shirts are in! Order now! OUR NEW T-SHIRTS ARE IN! 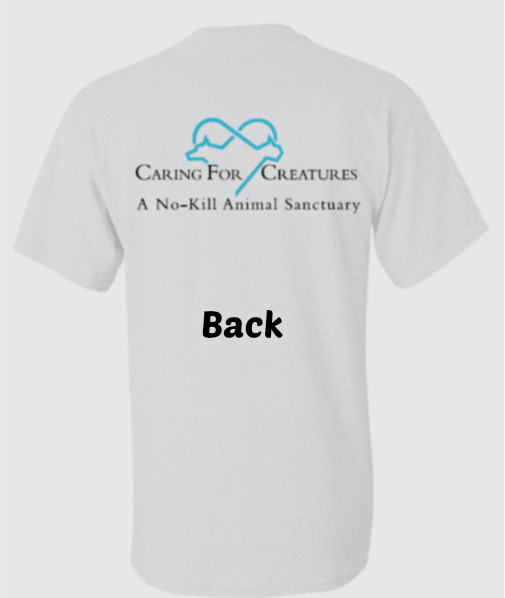 We love our new t-shirts and we think you will too! 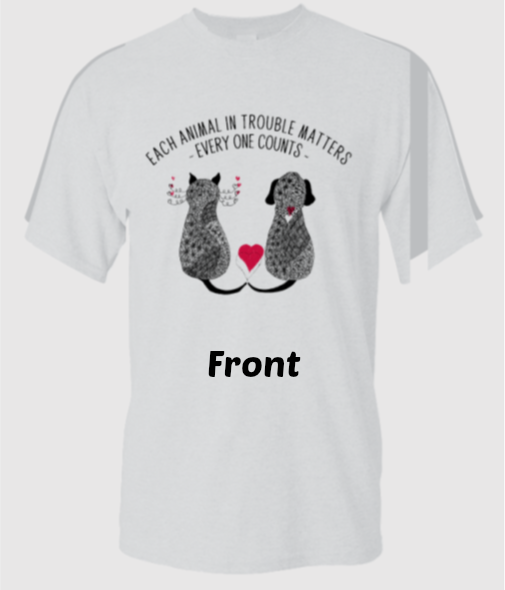 Kudos to volunteer Cheryl McGruder for her awesome design and for sharing her artistic talents with us. To place your order on line via our secure website, please click here. Or, mail your check to: 352 Sanctuary Lane, Palmyra, VA 22963. Please note ‘t-shirt’ in the memo section. 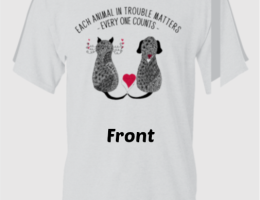 All net profits from shirt sales go to assist with medical expenses for the animals.